The geographical heart of Southeast Asia, the Kingdom of Thailand is more than a pulsating, vibrant tourist destination – it is one of the biggest economies in the region. Heavily exportoriented, Thailand, or the Land of Smiles as it is popularly known, is recognized for the openness of its economy, and willingness to accept foreign direct investment. From virtual collapse during the Asian crisis of 1997-98, Thailand has managed to weather political storms, including the disruption caused by the military coup of 2006, and a disastrous and calamitous tsunami, to build on its status as an emerging Asian giant. Thailand today is the world’s largest rice exporter, the second-largest tungsten producer and third-largest tin producer. Having made significant progress in social and economic development in recent years, Thailand’s growth from 2002-2006 has averaged 5.6%. Unlike its other neighbors in Southeast Asia such as Laos, Vietnam, or Burma, Thailand was never colonized – and the country’s developing, free-enterprise economy is slowly shifting from agriculture to manufacturing. Thailand, known as Siam until 1939, has been inhabited for around 5,000 years with the earliest civilization believed to be that of the Mons in central Siam, although the first Siam state is the Theravada Buddhist kingdom of Sukohthai. Among the most glorious periods in its history was the reign of Ayutthaya, which was founded in 1351 by King Ramathibodi. One of the greatest centers of trade and commerce in Southeast Asia, Ayutthaya attracted the scorn of the Burmese, who invaded the kingdom twice in the 16th and 18th centuries. On the second occasion, the once glorious capital of Siam was plundered, laid to waste, and left in ruins, a pale specter of its ancient glory. 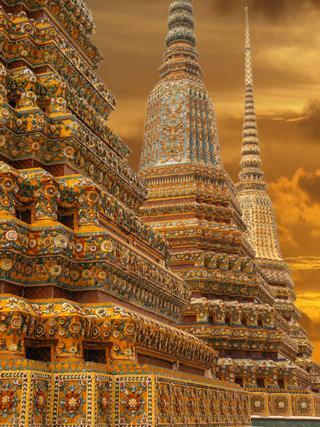 Bangkok boasts of Thailand’s largest temple, Wat Pho or the Temple of the Reclining Buddha, which is famous for its 46 meter long Buddha. The city also serves as the seat for traditional Thai massage. Thailand has one of the oldest surviving monarchies, and the current Chakri dynasty was founded in 1782 by King Rama I with the capital shifting for the first time to Bangkok. The 20th century saw the beginning of great change in Thailand. King Mongkut (Rama IV) was instrumental in developing a strategy that enabled them to avoid the yoke of imperialism that overtook Laos, Cambodia and Vietnam –Siam’s closest neighbors. The King’s strategy was simple: his ministers signed unequal treaties that gave free trade, extraterritorial rights, and special privileges to imperial powers like Great Britain , France , the U.S. , and Japan. The result was that by playing each one of these powers against another, Siam managed to maintain its independence. In 1932, a peaceful coup turned the country into a constitutional monarchy, before Siam became known as Thailand in 1939. Controversially, Thailand sided with Japan during World War II. The period following the war was a chaotic one for Thailand as it battled a number of military coups even as dissatisfaction rose against rising inflation, food shortages and inexperienced public officials. The democratic elections of 1979 marked the first period of relative stability, as the economy grew with the collapse of military rule. The country was rocked by several coups over the next two decades before violent demonstrations in February 1991 forced the military to relinquish power to a civilian government led by Chuan Leekpai, leader of the Prachatipat (Democrat) Party. He is credited with beginning the process of creating a completely new constitution, and instituted several reforms that led to Thailand having one of the highest growth rates during this period. At the turn of the 20th century, a relatively unknown party called the Thai Rak Thai Party (TRT) led by the charismatic Thaksin Shinawatra came to power on the promise of economic reforms. Thaksin delivered on his promises but was dogged by allegations of mass corruption. The devastating tsunami that hit Southeast Asia in December 2004 affected Thailand too, causing nearly 5,000 deaths, and eroding a major source of its revenue from tourism. In 2006, General Sonthi Boonyaratkalin led a bloodless coup, deposing the unpopular Thaksin and holding fresh elections in December 2007. A new party called the People’s Power Party, which consisted largely of members of the dissolved TRT, won the most number of seats under the leadership of Samak Sundaravej, who assumed power in February 2008. The then Prime Minister Sundaravej headed a six-party coalition. However, following a court order that ruled that Sundaravej had violated the constitution by hosting a television cooking show, he had to step down and was replaced by Somchai Wongsawat as the prime minister. The situation though, continued to remain tense, as the People’s Alliance for Democracy (PAD) insisted that both Sundaravej and Wongsawat were puppets of Thaksin. Repeated protests have been held in Bangkok since May 2008 and five months of these protests considerably weakened the government’s ability to implement policy. Matters came to a head when the PAD occupied the Bangkok International Airport in November, stranding around 350,000 travelers. This resulted in a substantial loss of tourism revenue and wielded a body blow to the country’s image as a tourist-friendly nation. Eventually, Abhisit Vejjajiva, the leader of the opposition Democrat Party, rose to become Thailand’s third prime minister over the course of four months. Thailand functions as a constitutional monarchy with the Head of State being King Bhumibol Adulyadej. 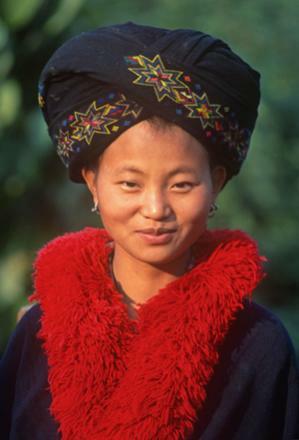 One of Thailand’s major tribes, the Yao, migrated from southern China at the end of the 19th century. Farming remains the predominant occupation among the Yao, known to be the only Thai tribe to possess command over the written language. The land of Theravada Buddhism has had a long tradition of being one of Asia’s most culturally vibrant countries. With miles of extended coastline, Thailand has some of the world’s best beaches, ancient architecture, friendly people and unique cuisine. Effervescent with life, it is one of the most popular tourist destinations in the world. The wats or Thai Buddhist temple complexes are richly ornamented structures, replete with scenes from the Buddha’s life as well as the ancient Hindu mythological text, the Ramayana. The Thai traditional greeting, the wai, involves pressing the fingers and palms together at chest level while slightly bowing the head. The wai is always returned, and performs the twin functions of greeting and showing respect. Among the most famous of Thai cultural shows is the khon dance, which traces its heritage to the royal courts of Siam. Nang Yai or the shadow puppet show is a dramatic art form that originated during the Ayutthaya period, and today is confined almost exclusively to the southern part of Thailand. Various tribes such as the Akha, Karen, Hmong, Yao, and Lisu have their own unique and diverse way of life –which all contribute to the rich cultural tapestry of Thailand. While Thailand’s sun-kissed beaches make tourism an integral part of the country’s services sector, there is more that drives this South East Asian economy. In fact, a boom in the 80s created hundreds of jobs in the manufacturing and services sectors, which led to a sudden onset of prosperity in the country and nearly double-digit growth. Though the Asian crisis in the late 90s led to a temporary disillusionment with free-market policies and a change in government, the country soon established itself as a favorite investment destination in Asia, resulting in years of vibrant growth. Despite the challenges posed by the tsunami devastation, military coups and floods, Thailand has experienced a meteoric rise from being an agricultural economy in the 70s to an export-led powerhouse. In fact, the share of exports as a proportion of the country’s GDP zoomed from 20% in 1980 to about 72% currently. The fact that Thailand is the only country that belongs to the “upper-middle income” category in mainland Southeast Asia is a testimony to the rapid economic progress it has made over the decades. Known as the “kitchen of the world,” Thailand is the world’s largest rice exporter. It is a well-known fact that Thailand’s transition to a modern industrial state would not have been possible without large inflows of foreign investment, which started pouring into the country in the late 80s and 90s. Notably, Thailand has a reputation for attracting foreign investment, thanks to fewer bureaucratic hurdles compared to some of its neighbors in the region. Fortunately for Thailand, the investments made in the 90s to build infrastructure such as new roads and factories paved the way for the country’s emergence as a major Asian manufacturer and exporter. Japan is the leading foreign investor in the country, with a majority of the funds channeled into the industrial segment which manufactures automobile parts. In fact, the Pacific island-nation accounts for about 50% of all foreign direct investment in Thailand. Next to Japan and South Korea, Thailand has emerged as the largest auto exporter in Asia, prompting many to call the country the ‘Detroit of the East’. After the Asian crisis of 1997-98, some of these investments were routed to China where cheap labor was available in plenty. However, with wages rising in China, Thailand was back on the investment radar for Japan and other such countries. China, which overtook Japan as the world’s second-largest economy, also has significant interests in Thailand, with investments in railroads, telecom and automobile manufacturing. Still, China accounts for just 10% of foreign direct investment in Thailand. Another factor which has spurred the growth of labor-intensive sectors such as manufacturing is the steady supply of migrant workers from neighboring countries such as Myanmar and Cambodia. This is especially significant, considering the fact that Thailand has a low fertility rate and an aging population. Thailand also has a geographical advantage as it is located not far from its trade partners such as Japan and China. 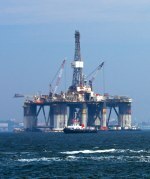 Still, being an oil importer, Thailand’s economy, and in particular its manufacturing-based industries, are subject to the vagaries of global oil prices. The services industry, led by tourism, is a major contributor to economic growth, bringing in about 45% of the country’s GDP. As a positive, tourism can be banked upon as a reliable source of livelihood for the people employed in the hospitality industry even during phases of tepid economic growth. The inflow of tourists has also fostered the development of ancillary sectors such as entertainment, hospitality and wellness tourism. Banking is an integral part of the financial services sector in Thailand, thanks to the demand for credit from households as well as small and medium-sized businesses. 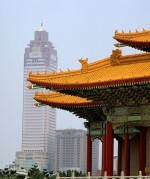 The banking sector in the country is led by state-owned lenders and some private commercial banks. A number of these private banks have good corporate banking and retail lending portfolios, while others have large international exposure. 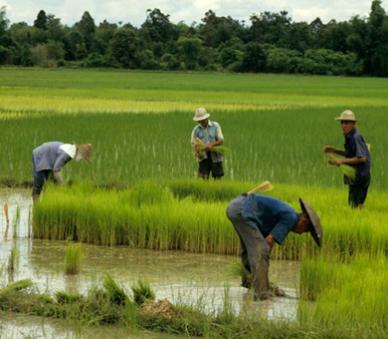 While Thailand has made rapid industrial strides, agriculture still plays a role. Besides food crops such as rice, most of which is exported, and sugar, the country is also a major producer of natural rubber, the core commodity for tire manufacturing. Thailand’s fishing industry and agricultural processing sector are thriving, with a special nod to the country’s billion-dollar shrimp industry. What’s more, the farm sector accounts for 30-40% of jobs in the country and is a major source of income for Thailand’s rural population. Still, the contribution of agriculture to the country’s GDP is grossly disproportionate at a meager 7%. Thailand has been plagued by volatile politics ever since the country became a constitutional monarchy in 1932. Despite the intermittent military coups and repeated change of governments that affected the continuity in economic policies, Thailand has made its mark among Asian economies on various fronts. Successive governments, irrespective of their political persuasions, have tried to improve regulatory efficiency that is crucial to a world stitched together by trade. Transparency became the watchword and the process of starting a business was made less cumbersome by reducing the number of approvals required. 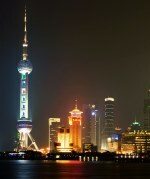 Though the official policy favors foreign direct investment, the government’s influence is still palpable in many sectors where foreign ownership is prohibited. 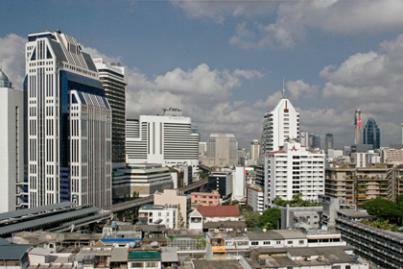 Bangkok remains the nerve center of Thailand, accounting for about 44% of the country’s overall GDP. Thailand’s deep divide between the relatively prosperous capital city of Bangkok and the poor, rural countryside has often led to social tensions that have defined the country’s politics in recent years. To put things in perspective, the Bangkok-centered urban dwellers comprise just 15% of Thailand’s population, but absorb 40% of the national income, Ruchir Sharma points out in his book, Breakout Nations. Conversely, the rural households that account for about 70% of the population are largely dependent on paltry farm incomes. Some popularly elected governments have tried to appease the large countryside constituency with subsidies and handouts, which has left the middle – and upper-income class aggrieved. Thailand’s chugging export engine has served the economy well over the years, though it is subject to fluctuations in external demand recently evident during the financial crisis of 2008-09. Alongside export-led growth, domestic investment and consumption also need to keep pace. One way to achieve this is to create and sustain the right social climate that reflects the interests of all stakeholders, both urban and rural. Still, governments can help only to a certain extent to uplift the living standards of their people. Businesses also play an important role by making investments and generating jobs to complement government initiatives to reduce the income gap.